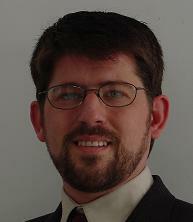 Kirk VanGilder is a candidate for the Doctor of Theology at Boston University’s School of Theology. Born hard-of-hearing and mainstreamed through hearing schools, his entry into higher education at Ball State University dovetailed with a progressive hearing loss, a discovery of deaf culture, and a calling into ministry in the United Methodist Church. The most accessible classrooms I have encountered as a deaf student in both my MDiv and ThD programs have been those which employ a pedagogy that honors the presence of everyone. As simple as this sounds in principle, the practice of good, inclusive pedagogy is often one of the more complex aspects of teaching. Many professors approach accessibility in the classroom by expressing a desire for clear-cut lists of “dos and don’ts.” When a deaf student is in your classroom, do lecture normally; the interpreters will translate what you’re saying. Don’t talk to the interpreters when you mean to address the student. Do repeat things when the interpreters ask for clarification; chances are half the class could benefit from this as well. Don’t stand between the deaf student and the interpreters; they need to see each other. As helpful as these hints are, they will vary from student to student depending on their particular abilities and learning styles. Therefore, the accessible classroom cannot be reduced to “helpful hints for professors” any more than theological education can be reduced to “helpful hints for pastors.” Instead, the very act of making your classroom accessible must entail a transformation of what it means to teach and create an atmosphere of learning. This atmosphere for learning will involve the formation of practices which honor the presence of each person in the room, and allow for their particularities to shape how communication and learning takes place. It should also challenge each participant to expand their understanding of the course material as they encounter it and in seeing how it is perceived by others in the classroom. Such a classroom becomes a radically inclusive and liberating atmosphere that allows for students of a variety of abilities and experiences to actively learn and contribute to the scholarly discourse. In my own case, my presence often disrupts the status quo of a regular classroom. Although this may stem from my tendency to be an outspoken participant in classroom discussion, it also results from the presence of two other individuals who translate everything being said into American Sign Language (ASL). The presence of interpreters makes it possible for me to be myself and participate fully in the learning experience. In addition, my self-conception of my being is often radically different from the general assumptions a hearing professor has of what it means to be “deaf.” I see myself as a member of a community and culture of deaf people, as well as a user of a minority language — American Sign Language (ASL). This articulation of being in the world is often represented in deaf studies by capitalizing the word “Deaf” when speaking of a cultural understanding, and using “deaf” to speak of the experience of hearing loss in general. I present myself as a cultural-linguistic minority student rather than a student with a disability. Not everyone with hearing loss adopts the cultural viewpoint. Quite often, college-aged students are at a point in their lives where they are discovering who they are and how they exist in the world, and their identity formation may be vague and in flux. Therefore, a deaf/Deaf student may not be able to fully articulate who they are and, even if they do, they will likely present a hybrid identity which moves between the Deaf world and the hearing world, as they are in a hearing classroom. A professor who assumes that a “deaf” student means a student with hearing loss and that all deaf students will have similar experiences will find herself faced contrarily with a plethora of identities in various stages of formation. To this complex picture add the fact that many students who are visually impaired, mobility impaired, learning disabled, etc., have begun to adopt a view of themselves which is somewhat similar to the cultural-linguistic view of Deaf people. Disability is increasingly being understood as a socially constructed condition rather than something rooted solely in the bodies of people. What makes a person disabled is not that she or he cannot see and, therefore, adaptations must be made, but rather that the classroom experience has been designed around the needs of sighted people in a way that excludes those with limited vision. While this doesn’t carry the full effect of Deaf people presenting themselves as a cultural-linguistic minority, it does have the effect of reframing our presence as students in the classroom from placing the locus of the “problem” on the student to finding that locus in the pedagogical approaches employed by professors. While Deaf studies, disability studies, and multiculturalism do not present the same particularities, they intersect in the classroom in presenting professors with the need for a pedagogy that can negotiate the diversity of identities in such a manner that facilitates learning for all. Honoring the alterity of each and every student in the classroom must mean recognizing that each student brings a particular set of factors into the room that will shape how communication, dialogue, and therefore, teaching and learning take place. Although I generally tell professors, “The way you teach doesn’t have to change,” in regard to the presence of interpreters, it often does. Clear communication and careful attention to how dialogue takes place come to the forefront. Intuitively, students and faculty see how easy it is for a fast-paced discussion interpreted at speed, but with a slight lag time for the interpreter to process how she or he will translate what’s being said, can make it difficult for me to contribute. Therefore, the way turn-taking happens in discussion is given some attention by the professor, if not discussed in class at some point. This has a benefit for the entire class, as often the same dynamics will negate the contributions of other students from minority groups who struggle with concerns over how their contribution will be viewed, especially if it is contrary to what is being presented by the professor, and who thus feel isolated and uninvited to participate. This serves to illustrate how accommodations in teaching style and pedagogy serve not only to include the Deaf student or student with a disability, but can benefit the entire learning process and facilitate a more richly inclusive classroom. In this way, intuitively feeling and dancing your way through the process of teaching can be much more beneficial than simply adopting set pedagogical models in relation to adaptive teaching methods for students with disabilities and applying them in practice. African-American feminist theorist bell hooks writes of her efforts to create an inclusive classroom in Teaching to Transgress: Education as the Practice of Freedom. In her reflections on the importance of honoring the presence of every student, she states that she requires her students to keep journals on their engagement with the class material and share paragraphs before the whole class. She sees this as an “exercise in recognition” (1994, 41) that allows the presence of each student to contribute to the shape of the classroom discussion; “even if there is a student present whose voice cannot be heard in spoken words, by ‘signing’ (even if we cannot read the signs) they make their presence felt.” Overlooking hooks’s use of quotation marks to qualify the use of American Sign Language in her classroom as if it were something less than spoken words, she has still honored the “voice” of a deaf student; she has recognized the power of how even the “voiceless” can contribute and shape the meaning of a class when empowered to contribute. In her collection of essays Teaching Community: A Pedagogy of Hope, hooks examines how shame operates differently in the lives of minority students as compared to majority students. Many white male professors entered college as students fully aware that they might be subjected to rituals of shaming to prove their worth, their right to be one of the chosen. As a consequence they may endure these rituals without feeling threatened or destroyed. Not so for the vulnerable students from marginalized groups who may enter college with no awareness that ritualized shaming may take place. Rituals of shaming may create in them a true crisis of spirit where they doubt both their self-worth and their reason for being in college (2003, 101–2). Deaf students and students with disabilities often experience similar fears and moments of shame when confronted with such situations. We find ourselves “outsiders” to the world of the classroom in ways that students of majority populations in society do not. Therefore, the specter of failure in the classroom is often a moment of crisis which reaches deep into our identities, as we come to question the legitimacy of our presence there and whether we have the right to enter this “foreign world” or not. In conclusion, when working to create an accessible classroom, professors need to consider how Deaf students and students with disabilities bring particularities to the situation that challenge the status quo. These challenges need not exasperate the professors, nor leave them feeling disempowered. Rather, they can become moments of mutual learning and professional growth that shape the very nature of the classroom in a manner that can honor the presence of everyone. Although neither the young student in the midst of identity formation nor the professor who is new to the presence of a Deaf student or student with a disability has a complete grasp of all the dynamics present in the classroom, a careful exploration of the literature on Deaf studies and disability studies will reveal parallels and differences between the experiences of Deaf and disabled students and those experiences that professors have already encountered while teaching in multicultural contexts. These parallels can assist in making the classroom more accessible and beneficial for everyone. ________. Teaching Community: A Pedagogy of Hope. New York: Routledge, 2003.